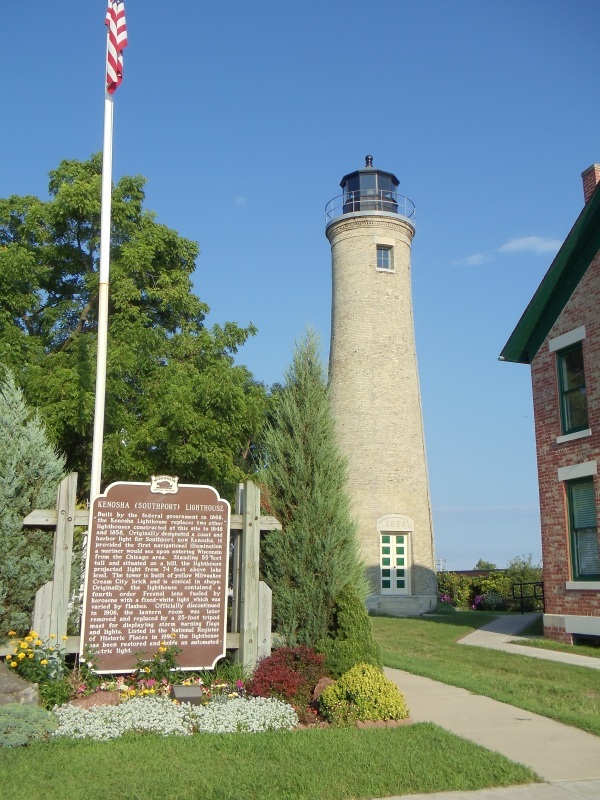 The Southport Lighthouse, reflecting Kenosha’s original city name, was built in 1866. It stands 55 feet high and is the third lighthouse to stand in that location. In 2010, it opened as a maritime museum on Simmons Island at 50th Street and Lighthouse Drive/4th Avenue. Inside the orioginal Keeper’s House you’ll find artifacts, maps, old pictures, and more information about Kenosha’s harbor, a long-important point for industrial shipping, commercial fishing, and recreation. The first floor was restored to reflect the era around 1907, including a period kitchen and historic colors. Check out the chart desk, which offers nautical charts and historic harbor maps that go all way back to 1839, when Southport was the name of the town. Lighthouse fans will love the authentic Fresnel lens on loan from the U.S. Coast Guard; it matches the size lens that once topped the Southport Lighthouse. On the second floor, you’ll find more exhibits about the restoration project, local shipwrecks, the U.S. Coast Guard, and a re-creation of a lighthouse keeper’s bedroom/office. Parking and museun tours are free; there is a fee to climb the 72 steps to the top of the Southport Lighthouse, $10 for 13 and over and $5 for children 8-12 years old. Children under 8 are now allowed to climb the lighthouse. The 1866 Southport Ligthouse from the end of Highway 158, overlooking Kenosha Harbor. 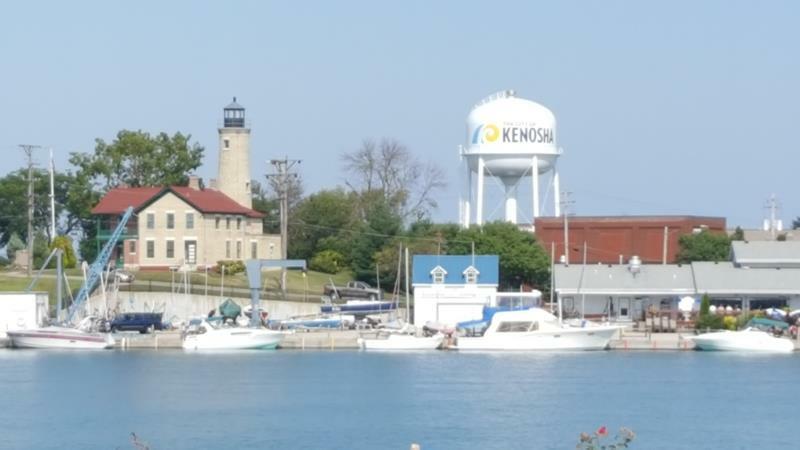 The Southport Lighthouse Station Museum and the Kenosha History Center are located on the same grounds on Simmons Island and are operated by the Kenosha County Historical Society. You can reach Simmons Island just a few blocks east of Highway 32/Sheridan Road via 45th Street or 50th Street. Highway 158/52nd Street brings you within blocks, and Highway 50 comes in about a mile south. Open for the season through October 29, 2017. It should re-open for 2018 on or around May 3. Note that the operating schedule is weather dependent.